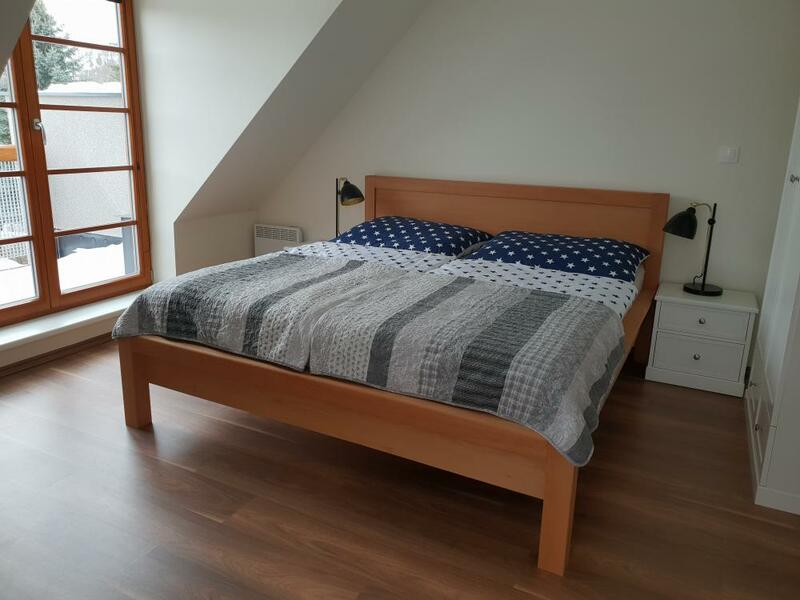 Spacious double room with a double bed and up to two extra beds on a comfortable sofa bed offers accommodation for families or a group of friends. 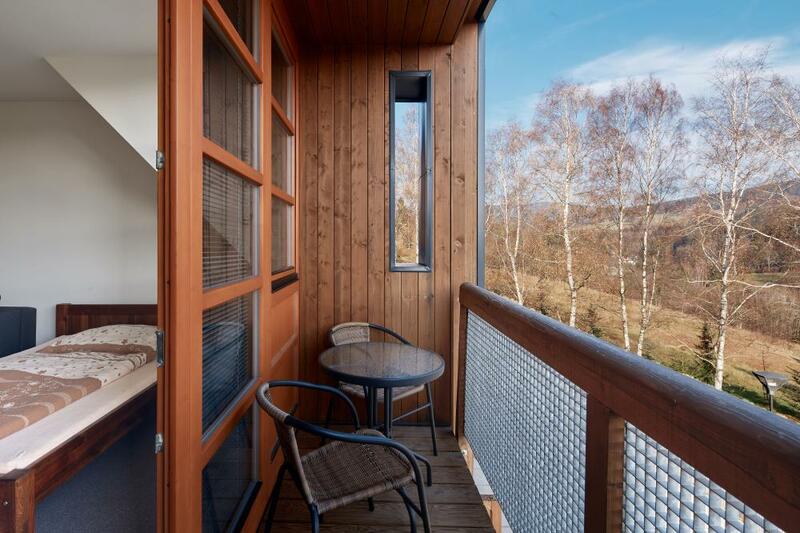 The room has a shared terrace with other rooms and in the warmer months you may enjoy a pleasant seating area. 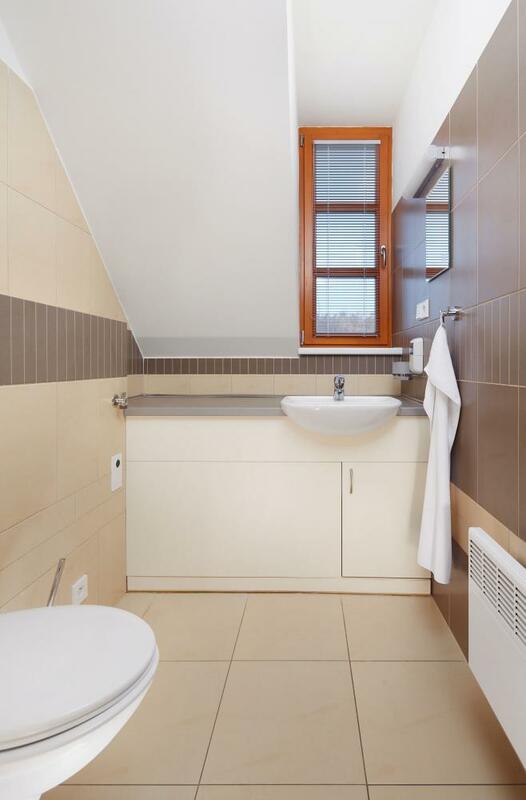 Of course, there is a private bathroom with a shower, a toilet, towels and toiletries. 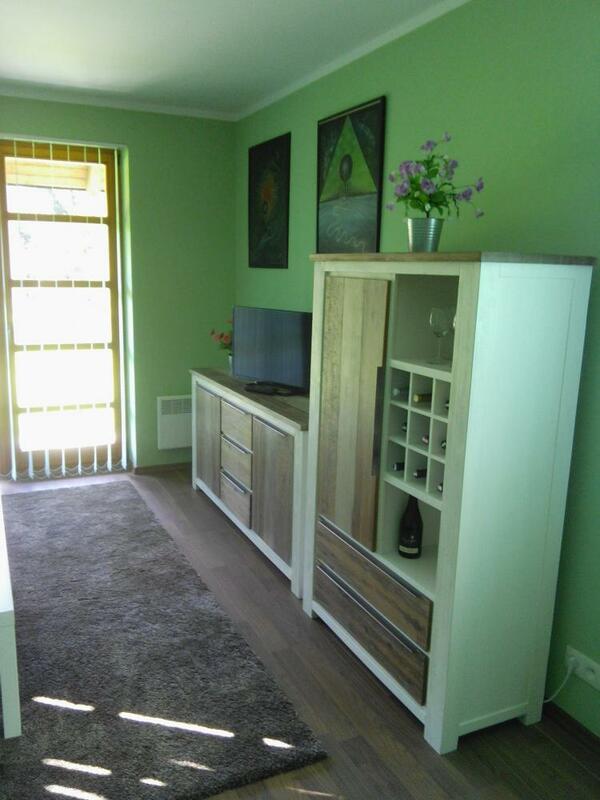 There is also a digital TV set and a fridge. 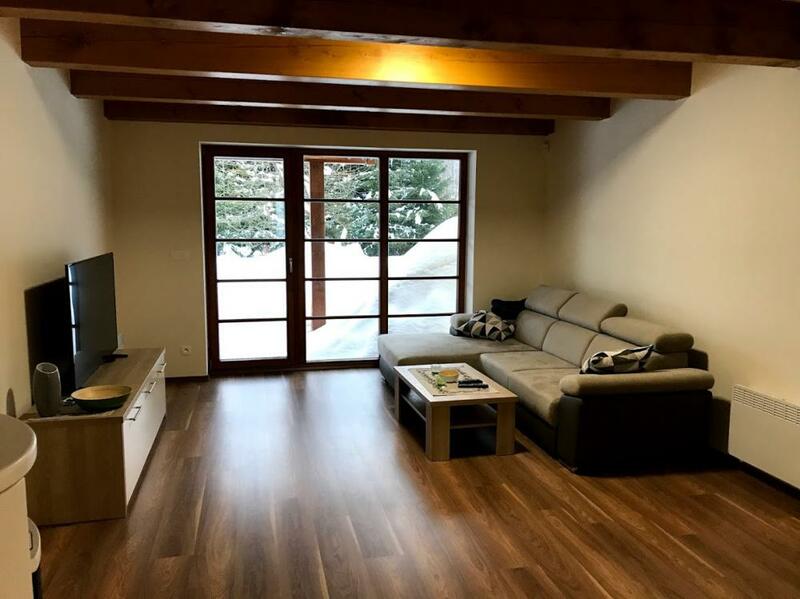 Each room has a parking space in the garage and a ski storage room, which is used as a bicycle storage room in good weather. 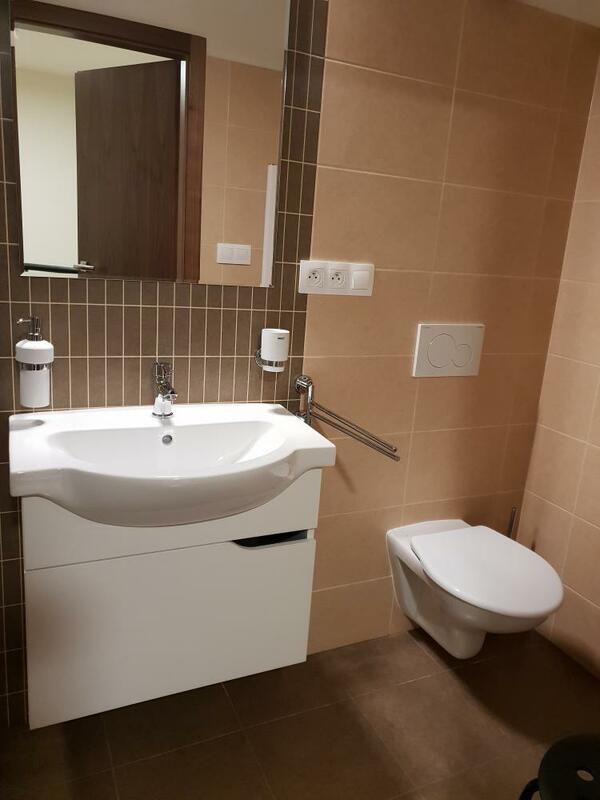 We offer one double room for handicapped persons. 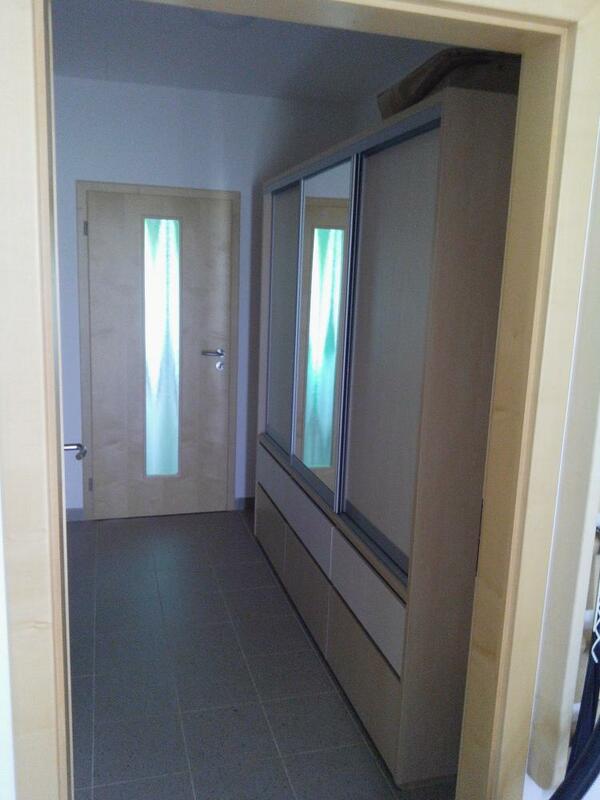 If you are interested in this room, please contact the reception. 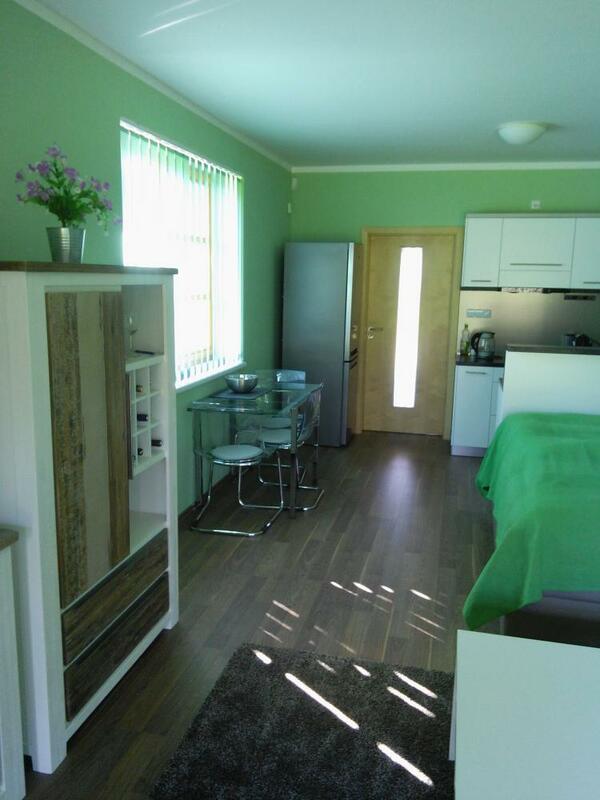 Single-storey apartment offers comfortable accommodation with two beds and one extra bed. 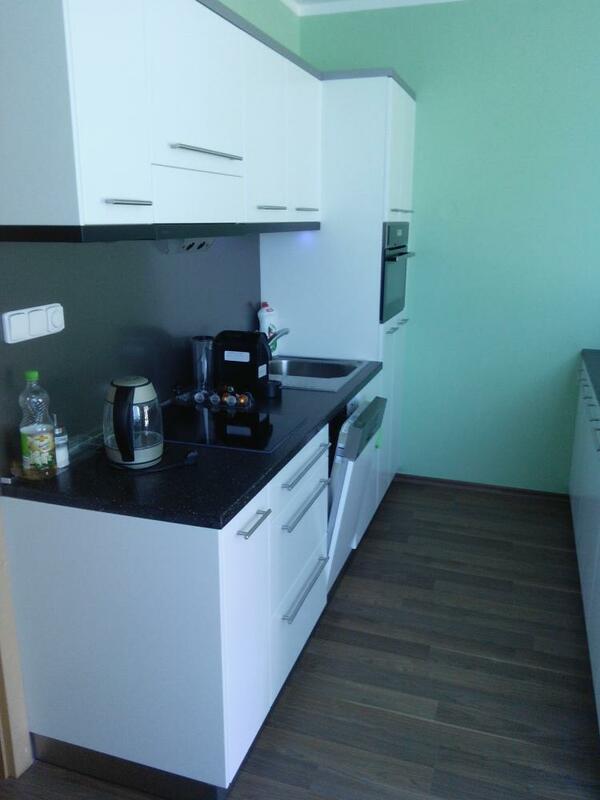 As a part of the apartment there is fully equipped kitchenette with kettle, coffee maker, cooker and dishwasher. 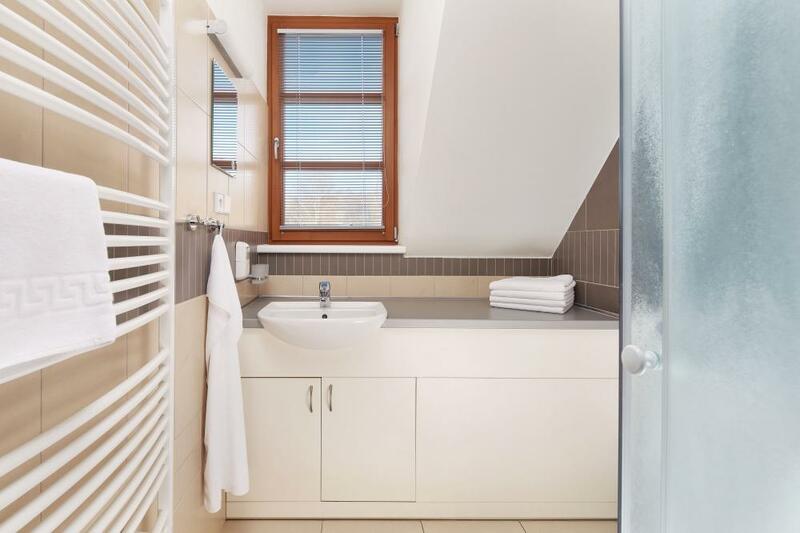 Of course, the apartment has also seatting area with SAT TV, a terrace and bathroom with a bath. 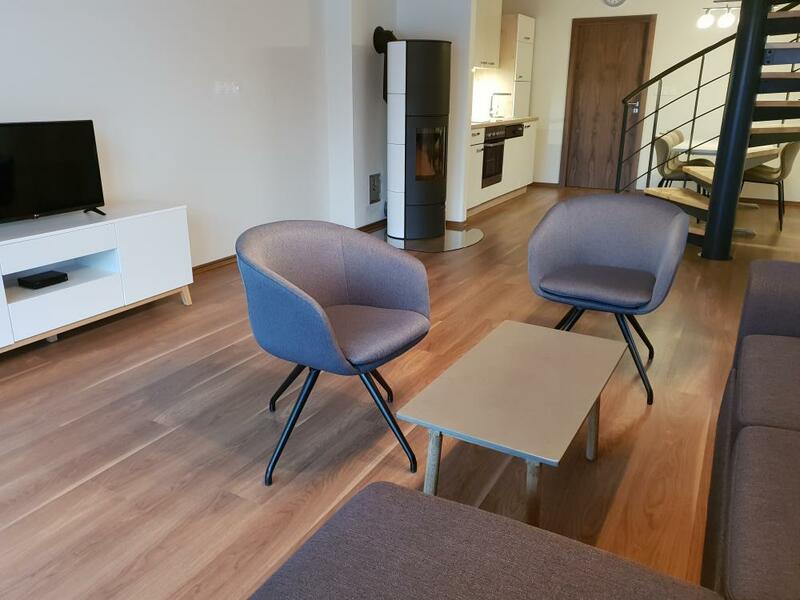 This type of apartment is subject to a deposit of CZK 3000, which is refundable at the end of the stay. 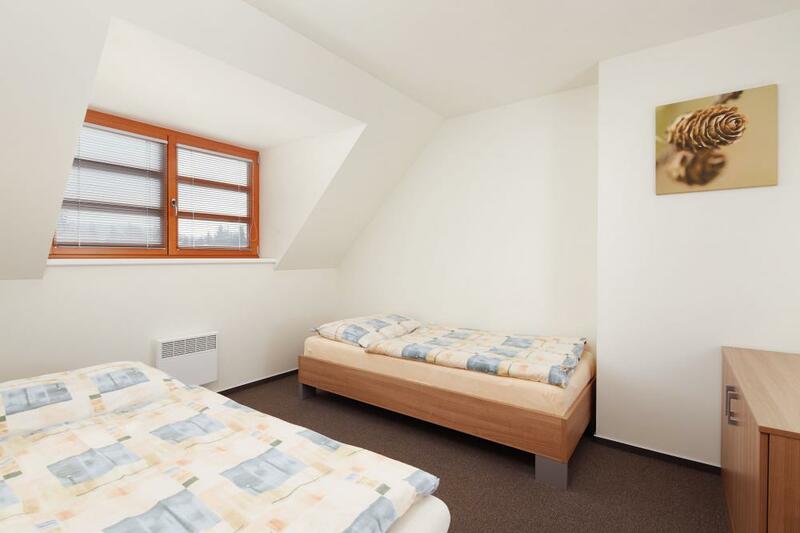 The quadruple room consists of the ground floor and one storey, or two rooms only on one floor. 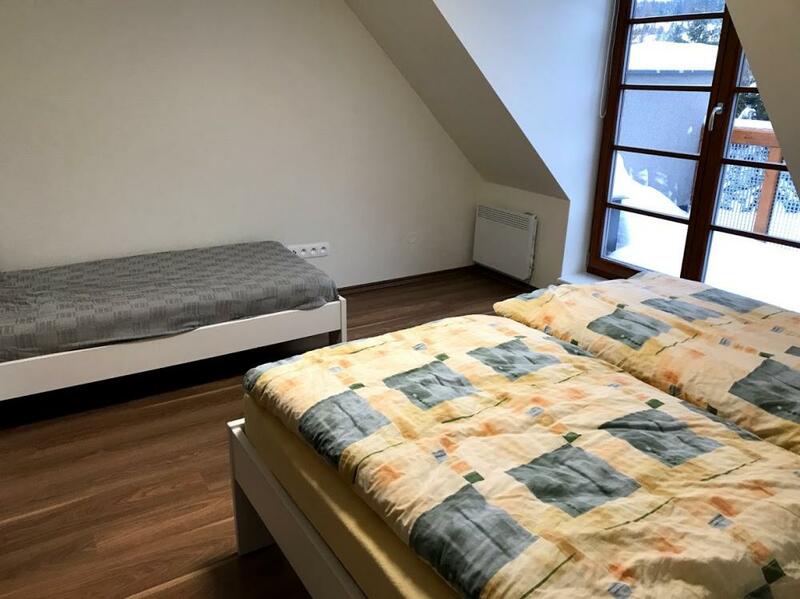 In the duplex type of the room, there is a living room with a sofa on the ground floor which serves as an extra bed for 2 persons and a bathroom with a shower and a toilet. Upstairs, there are 2 bedrooms, with 4 fixed beds altogether. 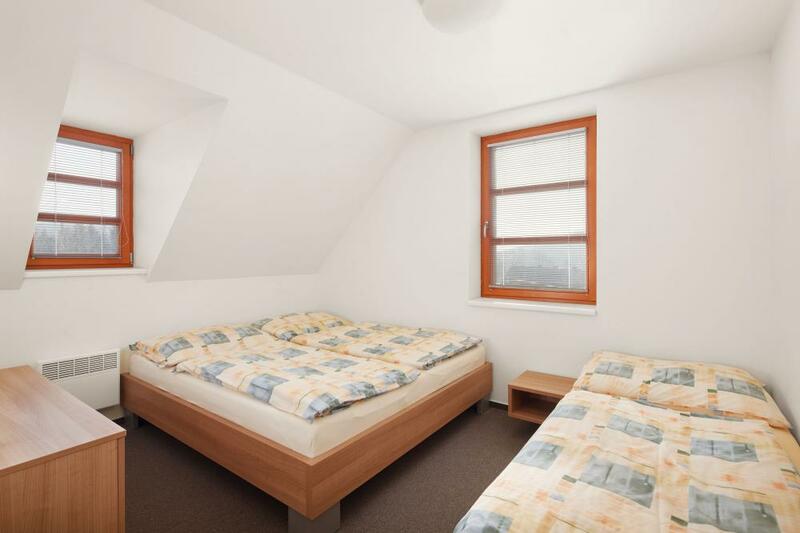 The one-storey room offers one room with a double bed and a sofa bed and a separate bedroom with a double bed. As in all rooms, there is also a refrigerator, a TV set and the Internet Wi-Fi. Parking is provided in the underground garage (each room has one parking space available). 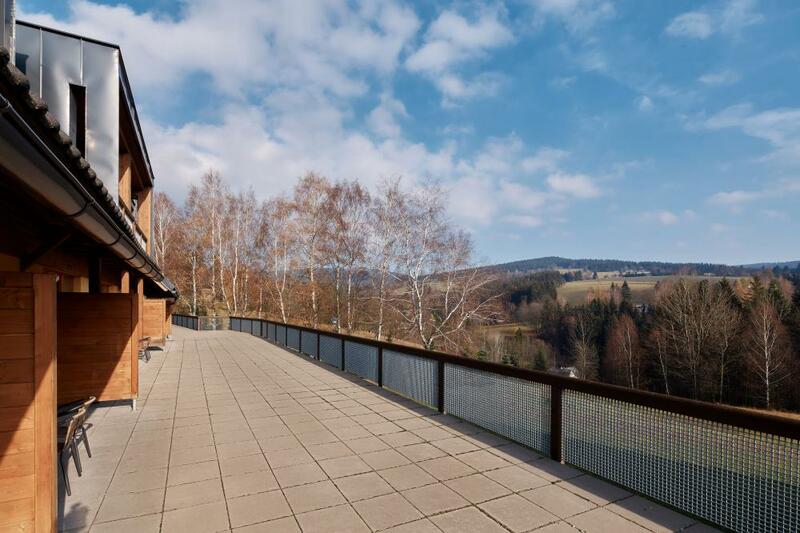 There is also a ski storage room, which is used as a bicycle room from spring to autumn. 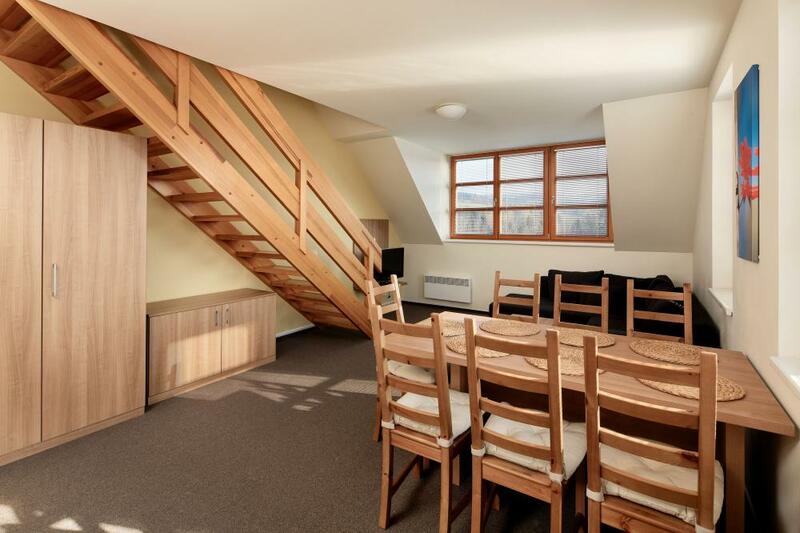 The maisonette quadruple room offers accommodation for up to 6 persons. 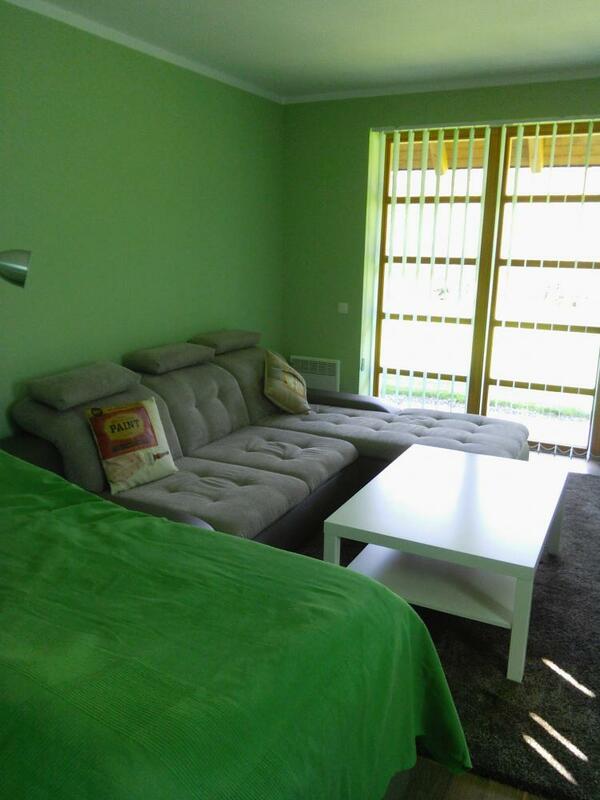 On the ground floor, in the living room 2 persons may enjoy their sleep on a comfortable sofa bed. Upstairs, there are another 4 fixed beds. 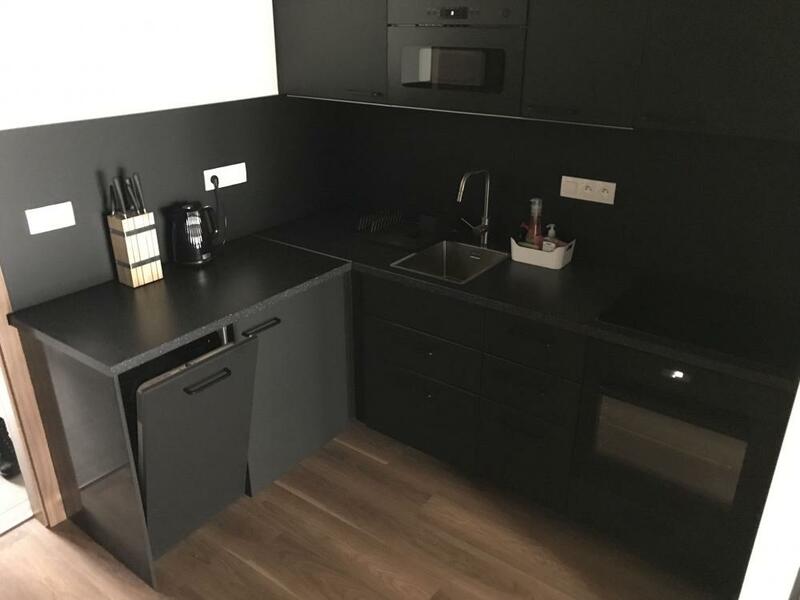 As in any room, you will also find a work desk, a small fridge and a digital TV set. 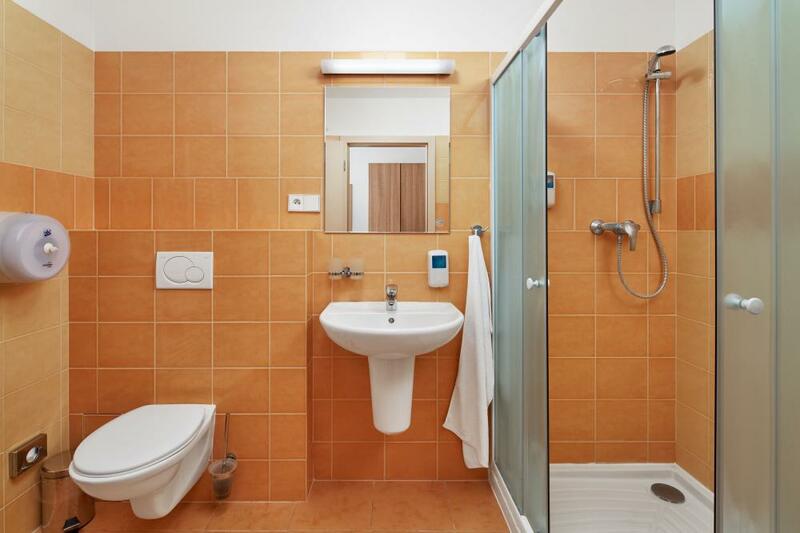 The room also offers a private bathroom with a shower or a bath tub, towels and free toiletries. 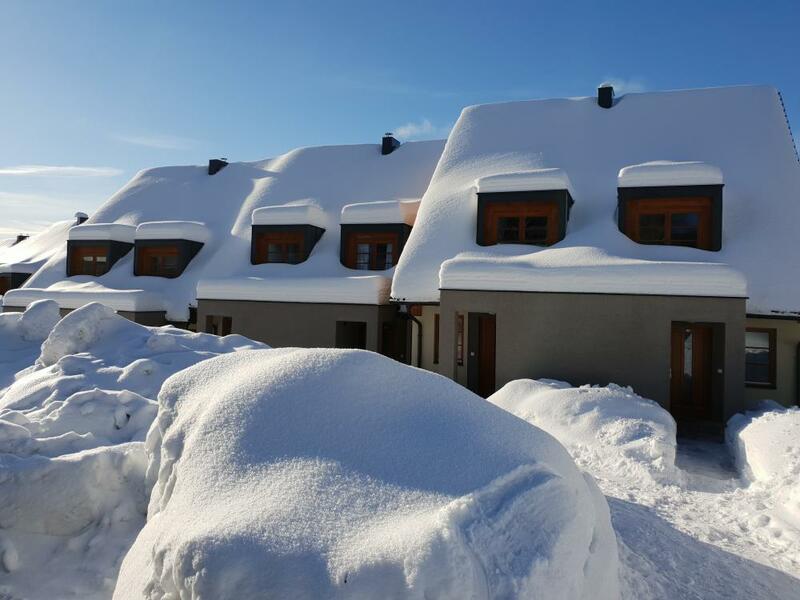 Even if you visit the hotel because of the Orlické Mountains, you may enjoy free Wi-Fi in unfavourable weather. 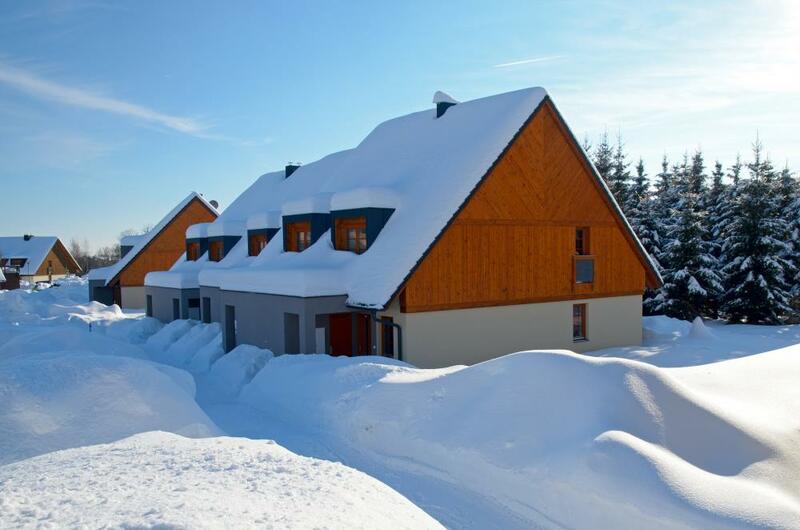 Each room has one garage parking space allocated and a ski and bicycle storage room. 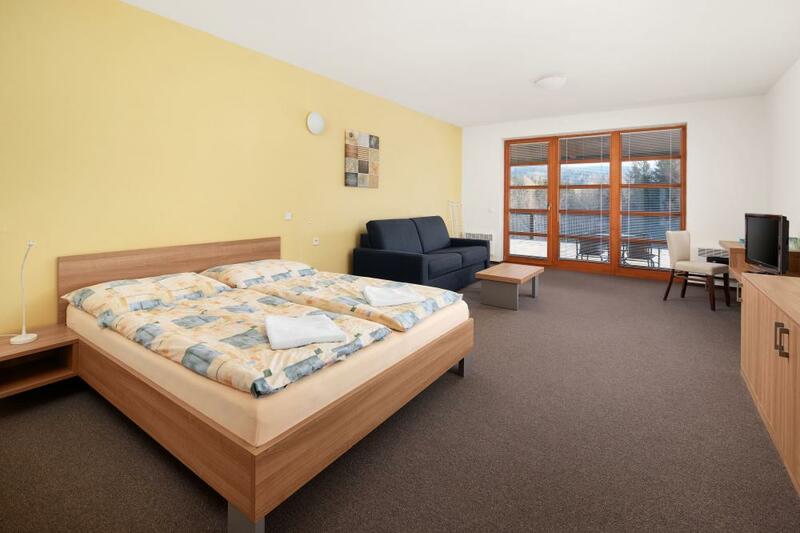 Another of our maisonettes - a six-bed room - is ideal for a larger family or a group of friends who come to Wellness Hotel Říčky to enjoy their rest. 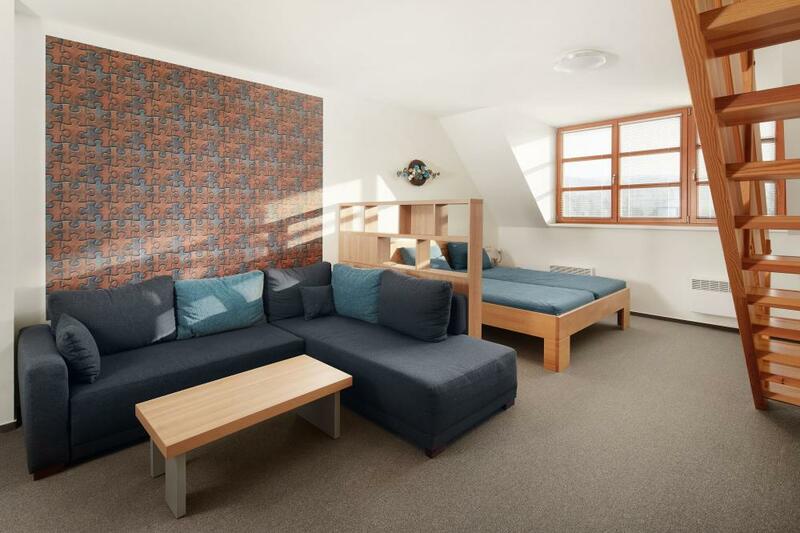 In the living area, you will find a double bed and a sofa bed on the ground floor, where two more people may comfortably sleep. 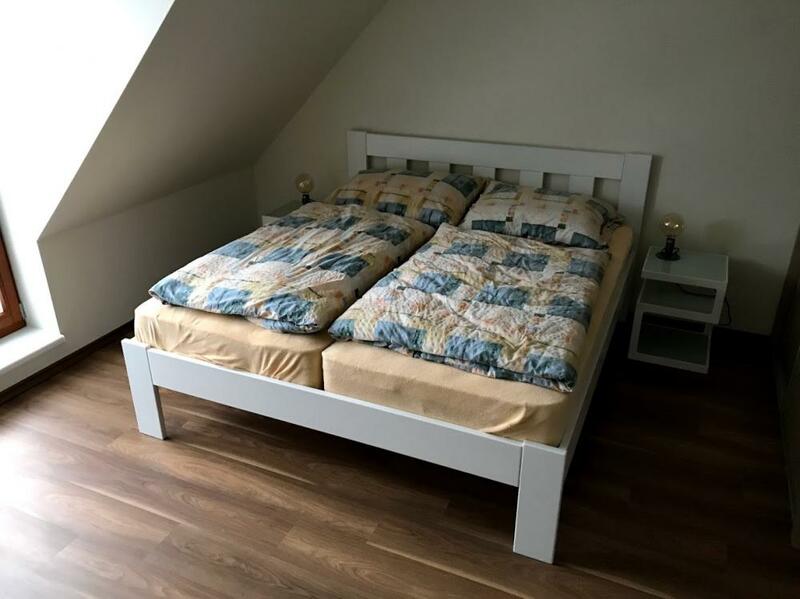 After stacking a few steps, on the first floor, you will find two bedrooms where there are four additional beds (1 x double bed, 2 x single bed). 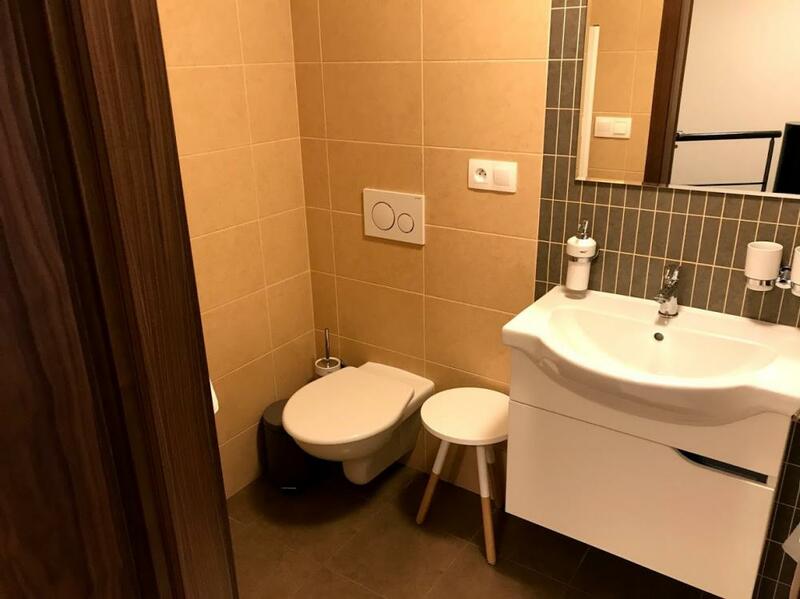 The purposefully furnished room also offers a private bathroom with a shower and toilet, towels, toiletries, a small fridge, a digital TV and a work desk. 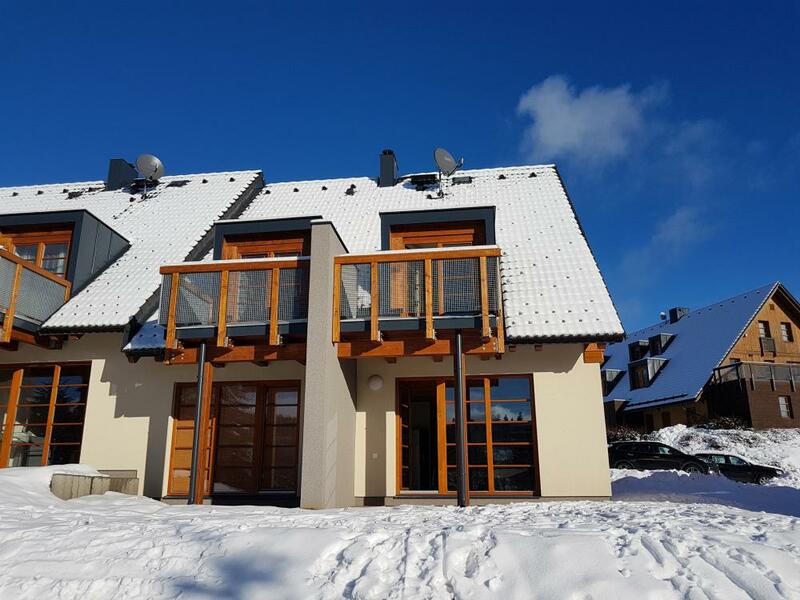 Parking is provided in the garage (1 room = 1 car) and each room has its own ski storage room (bicycle storage room in summer). You may also use the Internet Wi-Fi for free throughout your stay. 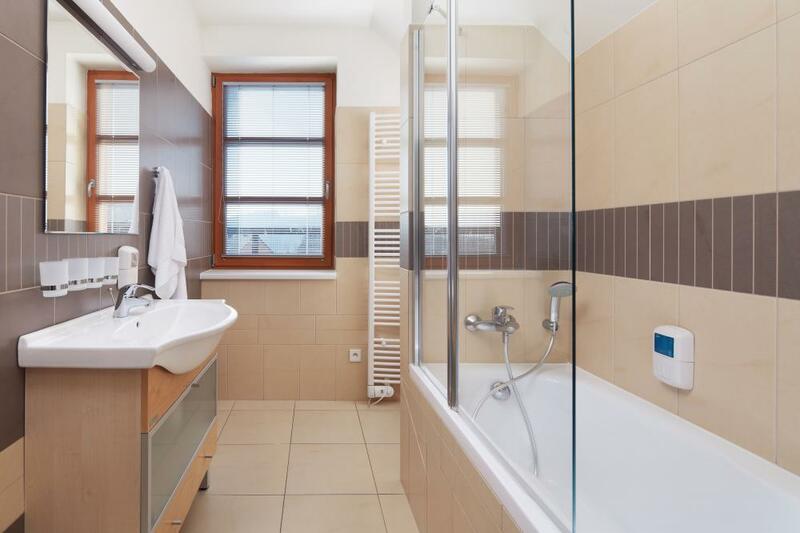 Maisonette apartment offers comfortable accommodation for up to 8 persons. 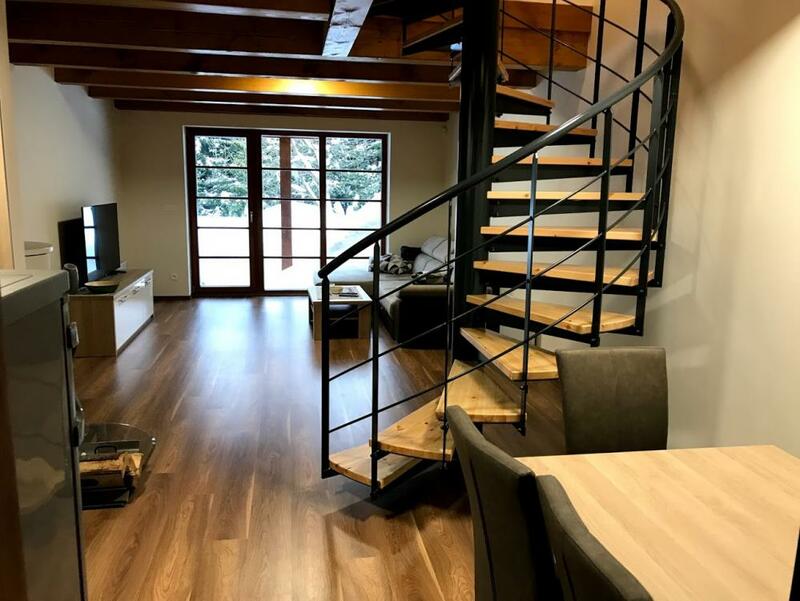 On the ground floor, there is a living room with a seat that serves as an extra bed for 2 persons, a double bed, a kitchenette with a double stove, a microwave, a kettle and a small refrigerator. You may also use the digital TV and work desk. 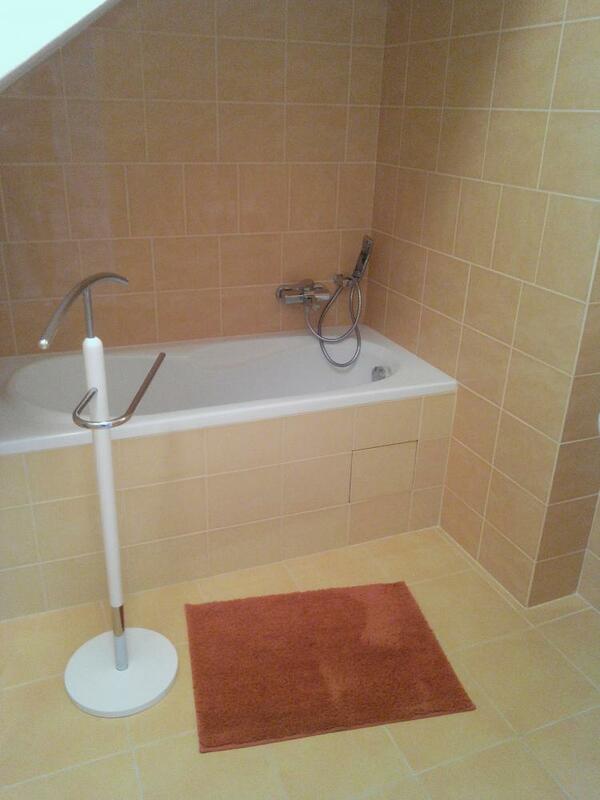 The bathroom with bathtub is also located on the ground floor. 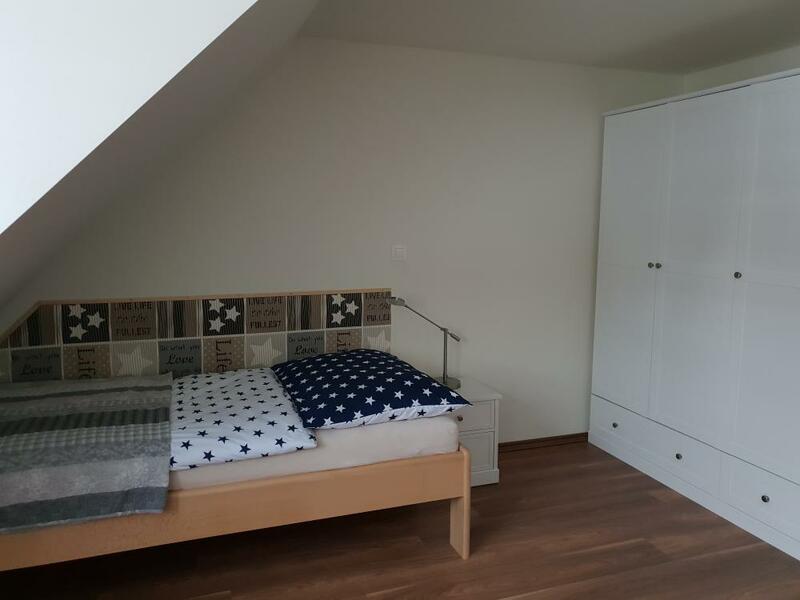 Upstairs, you will find 2 bedrooms with 4 fixed beds. 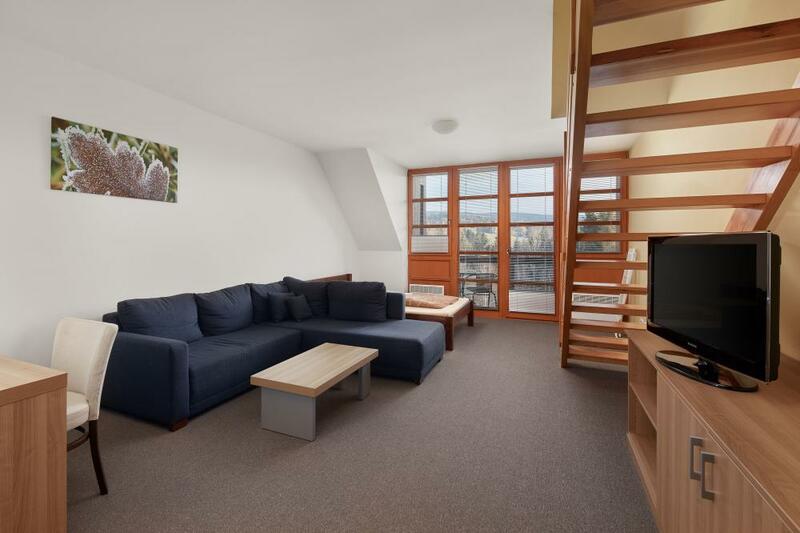 The apartment also has a small, separate balcony. Parking is provided in the garage (1 apartment = 1 car). 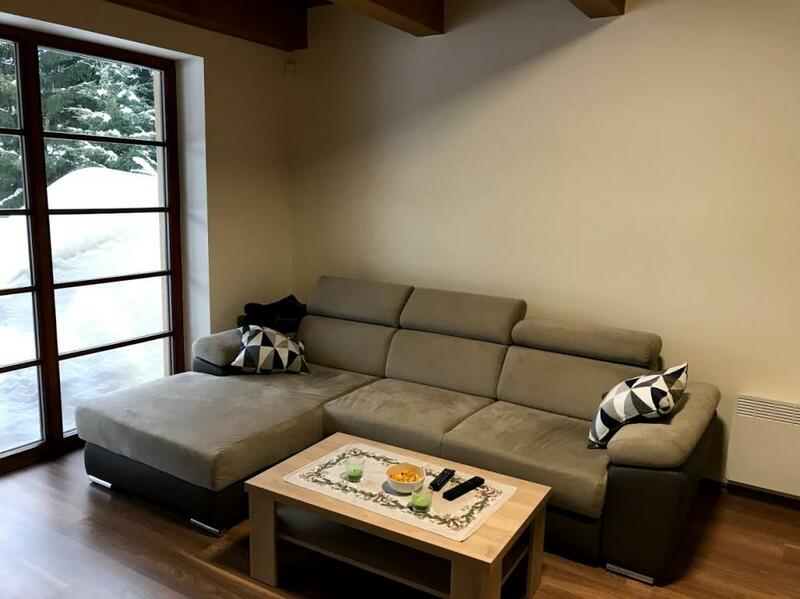 Free Wi-Fi access and a bicycle and ski storage room are also available. 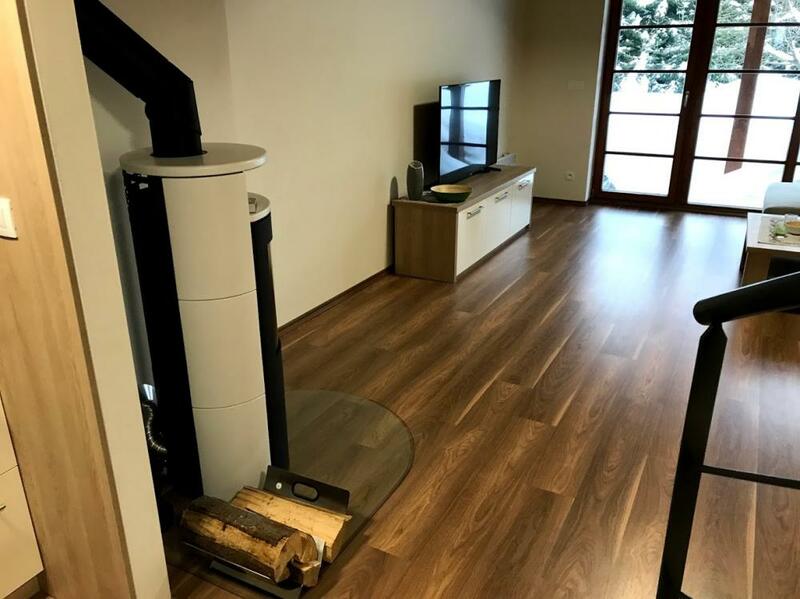 Spacious duplex maisonette apartment Superior provides its guests with complete comfort and facilities in which they will feel at home. The apartment offers accommodation for up to 7 persons. 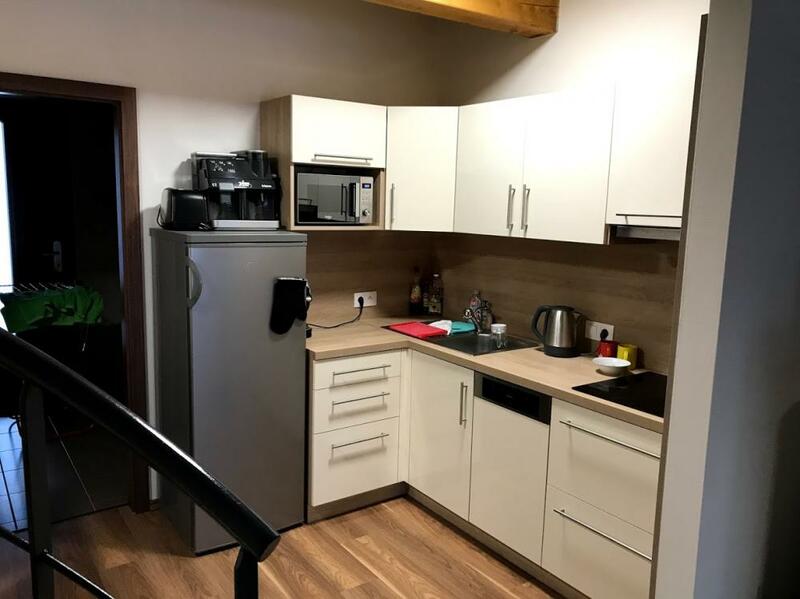 On the ground floor, there is a comfortable sofa bed, a dining table, and a fully equipped kitchenette with a double stove, microwave, electric kettle, and a small fridge. The advantage of the apartment is a large terrace with a pleasant seating, which will make every stay pleasant during the summer months. 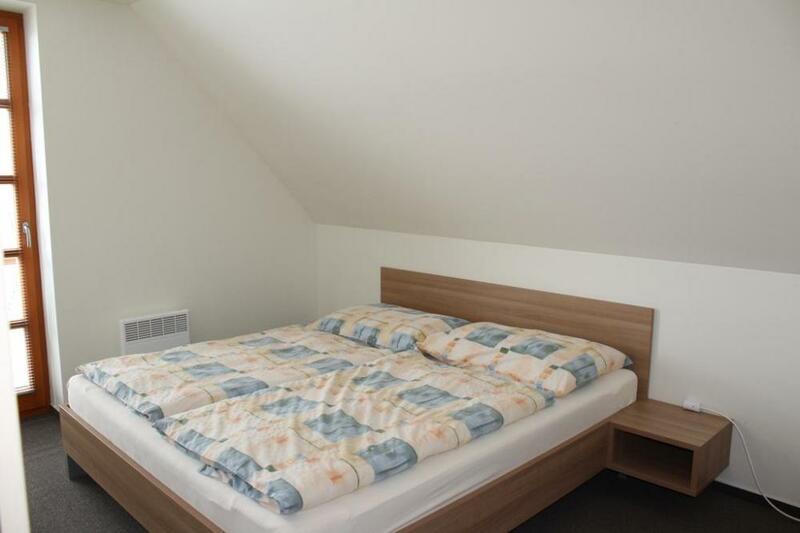 Upstairs, there are two bedrooms, one with a double bed and the other with a double bed and a single bed. 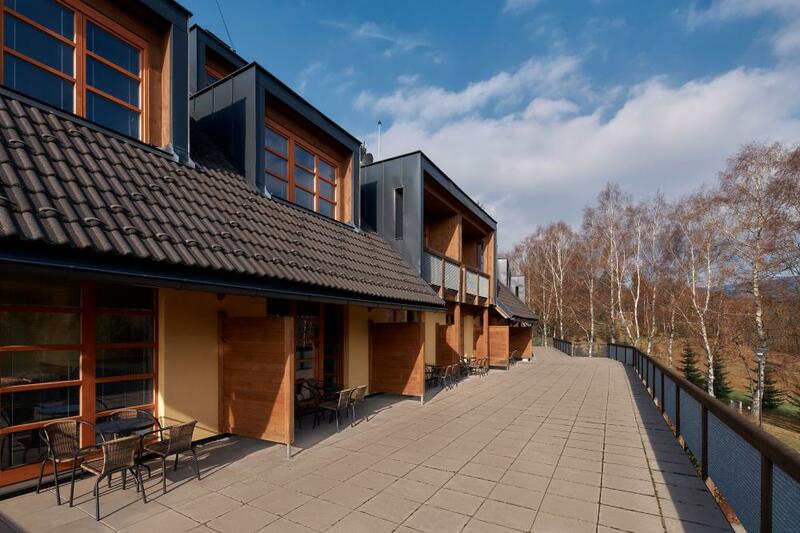 Of course, there is also a free parking space in the garage, the Internet Wi-Fi, and a ski and bicycle storage room. 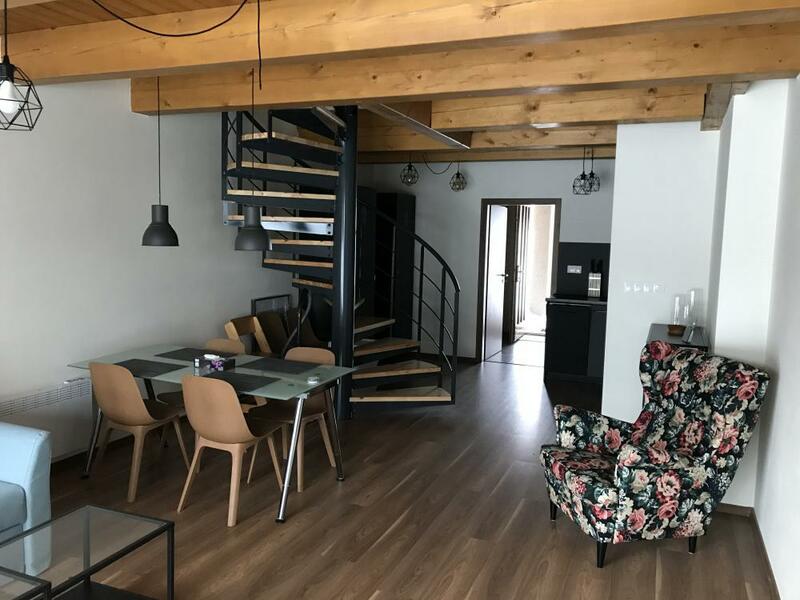 Completely newly built apartment with total capacity of 6 persons proposes two floors with a private terrace in the basement and a separate balcony in the 1st floor. 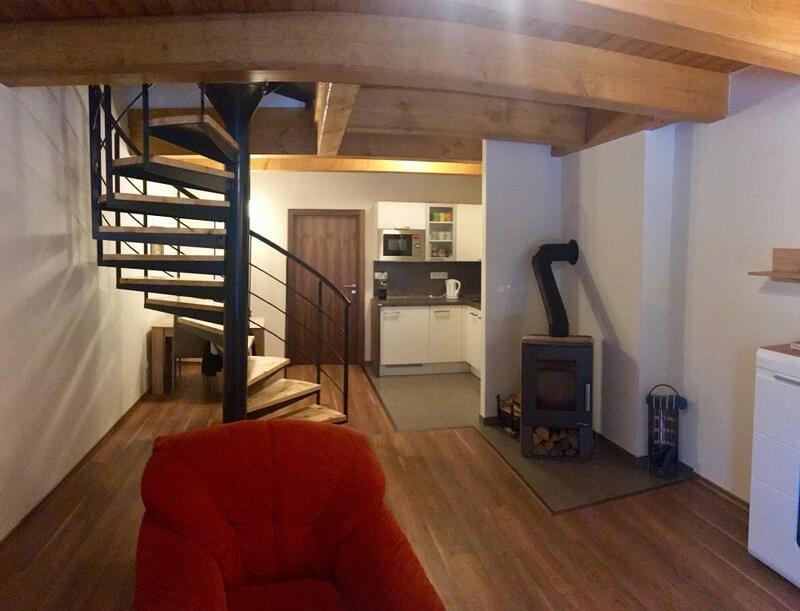 The apartment is well equipped, so it is a perfect choice for even a longer holidays in the Orlické mountains. 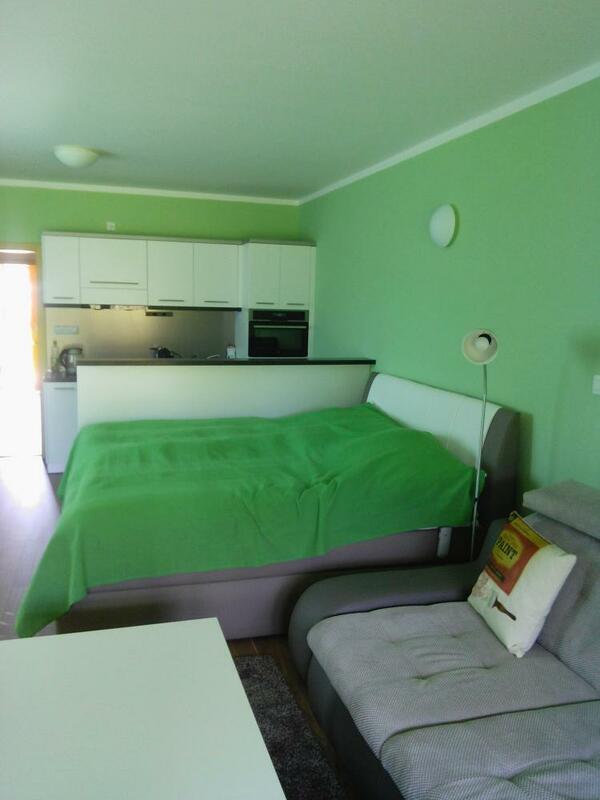 It dispose of 2 bedrooms (each with a double bed and 1 twin bed), a common room, fully equipped kitchenette with fridge, kettle, cooker and washing mashine, or a bathroom with shower. 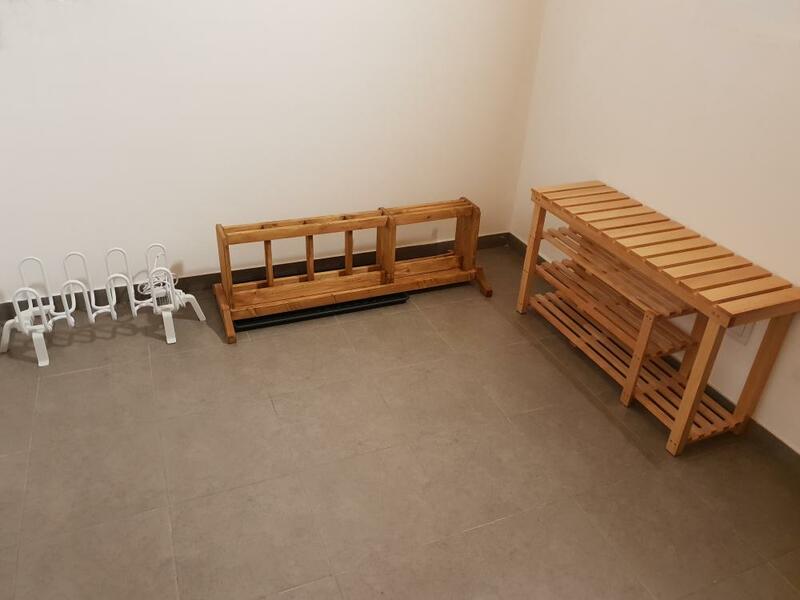 Guests can take advantage of one parking place for the apartment. Pets are not allowed in this apatment. 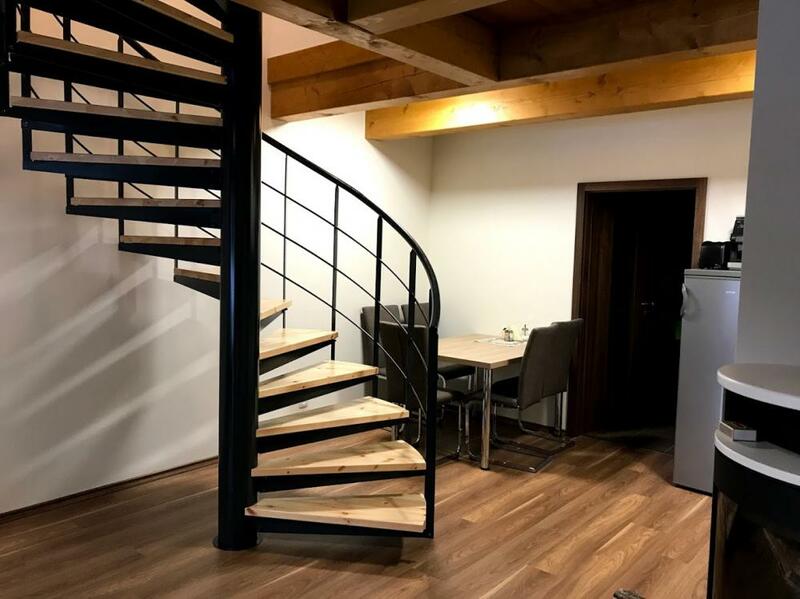 This type of apartment is subject to a deposit of CZK 3000, which is refundable at the end of the stay. 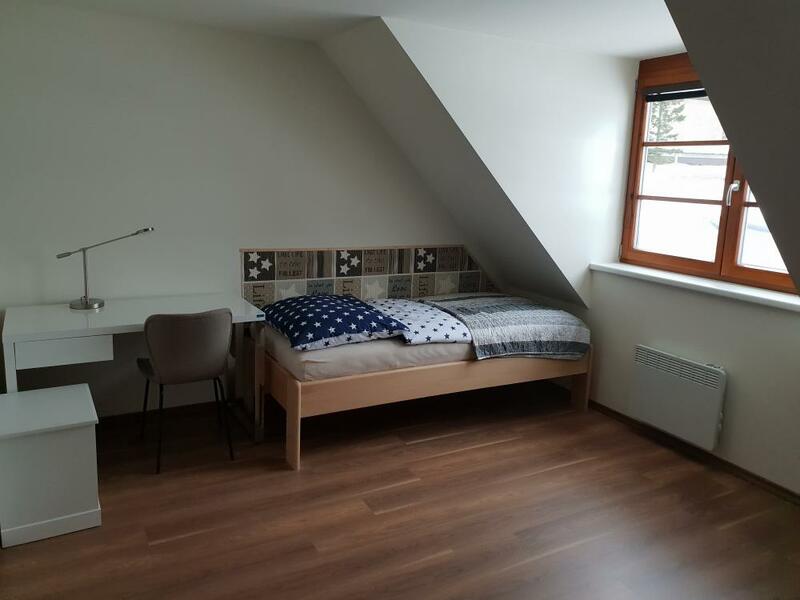 Newly built maisonette apartment offers 4 standard beds and one extra bed in form of fold-out couch situated in the common room. 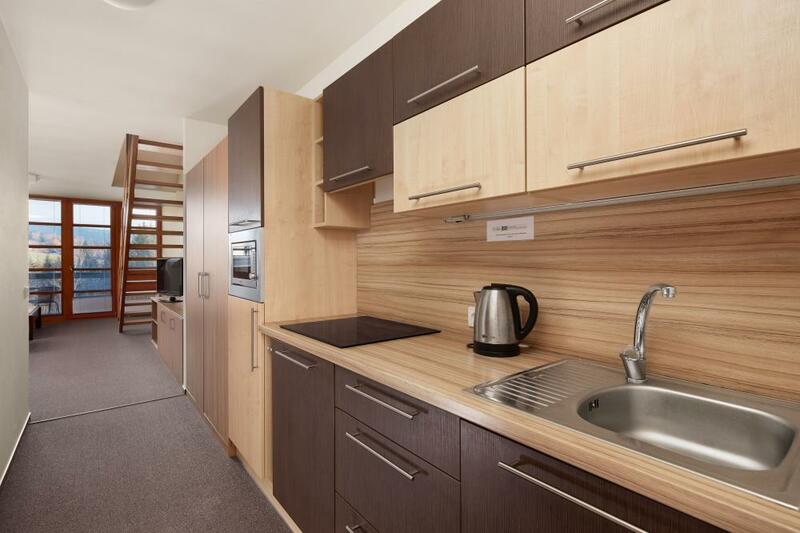 The apartment dispose of up to 2 bedrooms and a bathroom with a shower. 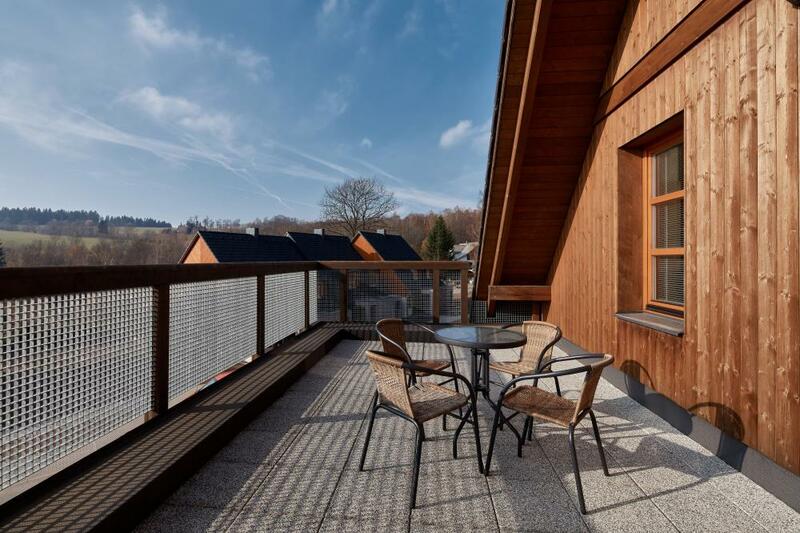 Guests can enjoy spacious terrace in the basement as well as a balcony in the first floor. 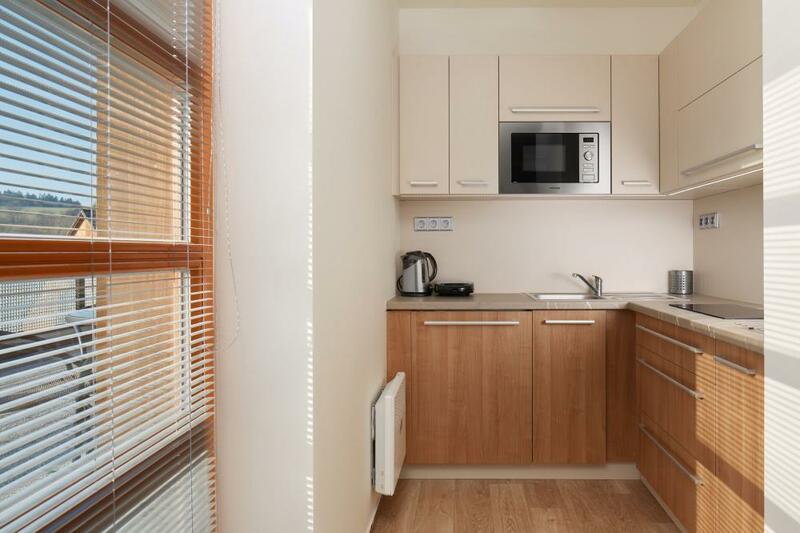 In the common area there is a seating place with SAT TV and fully equipped kitchenette with fridge, dishwasher, kettle and cooker. Each apartment dispose of one parking place. 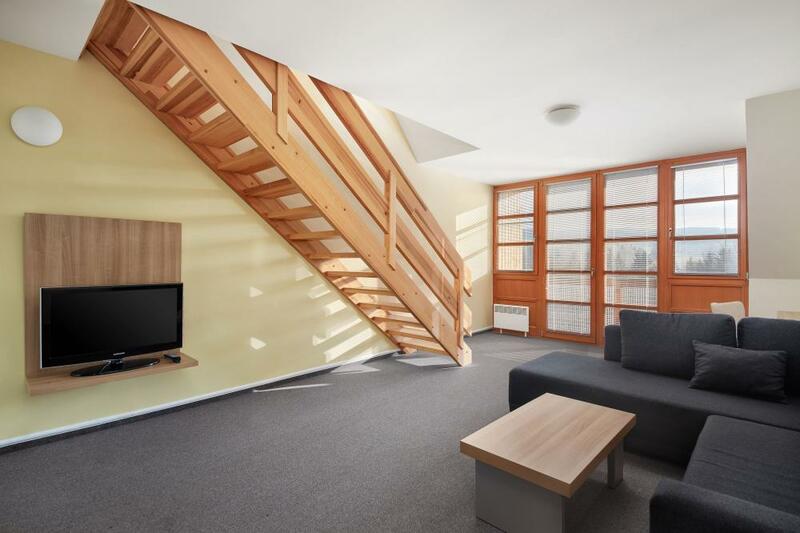 In our new duplex apartment you will find everything neccessary for a pleasant stay in Říčky. Accommodation with a pet is not allowed in this apartment.